All precision balances employ sensing technology – variable capacitance. This technology requires few parts allowing the laboratory balances to maintain a low profile and remain structurally streamlined both inside and out. 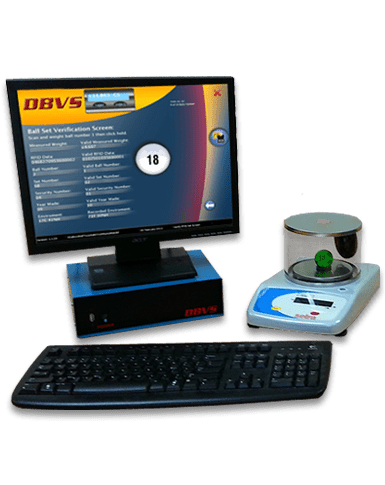 The Drawing Ball Validation System (DBVS) is designed to allow Lottery Staff and Auditors to easily verify a set of balls against a recorded weight set as valid. 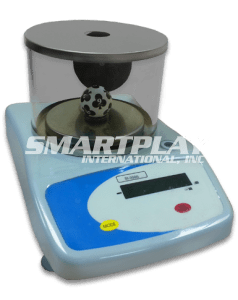 The system is designed to work with RFID enabled SmartBalls or traditional Non-RFID drawing balls. When used with RFID-enabled SmartBalls, the DBVS automatically identifies the ball number and stored security code. The computer controlled scale accurately records the weights of the balls and reduces the opportunity of human error. The digital micrometer will measure to .01mm. Used for accurate calibration of Drawing Balls. The Pass-through Gauge is a device that allows the user to confirm the acceptable size of a drawing ball. 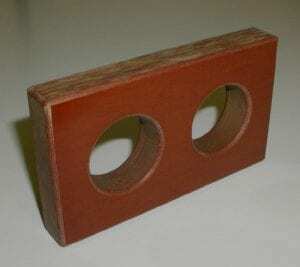 The two openings in the gauge are sized to the minimum and maximum acceptable tolerances. The ball must pass through the larger opening and not pass through the smaller opening to be acceptable.